had to check in our archive to see if the manufacturer - the KBL Sound - was wrong in their calculations. It turned out they did not - indeed we've been using their Red Eye series cables for five years already. We reviewed their power cord together with the Reference Power Distributor in the HF January issue in 2014 (more HERE). The cable proved to be really good and deserved our RED Fingerprint award, and then the Best Sound 2018 from our magazine. 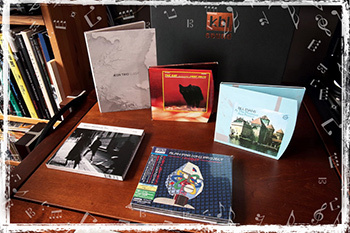 Five years in the audio industry is a very long time. Naturally, the Red Eye cables have been improved as released as the Red Eye Ultimate series. But, let me repeat, five years is a lot and sooner or later it had to happen - in November last year, during the Audio Video Show 2018 a completely new series was presented, which replaced the previous two. It is called the Red Corona. Because of their excellent make and finish the new cables look very attractive. They look as if they were prepared by one of the world's leading cabling manufacturers and belonged to their top-shelf products. The technical solutions I will discuss in a moment are equally interesting. Interconnect | The Red Corona interconnect is very flexible. This is the first thing you will probably notice about it. Immediately, however, you will confront this feature with a large cross-section of this cable, which for most of its length is really thick. This is a protective coat with thinner leads on both ends. You thinking now, so why is it so thick, since the wires themselves are much thinner? You're not the only ones. I remember that even many experienced audio journalists and audiophiles reported this type of doubts several years ago. And the answer is quite simple, today it's actually quite natural: the cable must be protected from vibrations. The vibrations introduce distortion into the signal, which are known as triboelectric noise. Appropriate dielectrics assist in its reduction - Wireworld uses a material called Composilex, one can also use extensive vibration dampening systems, like those used by Vertex AQ. 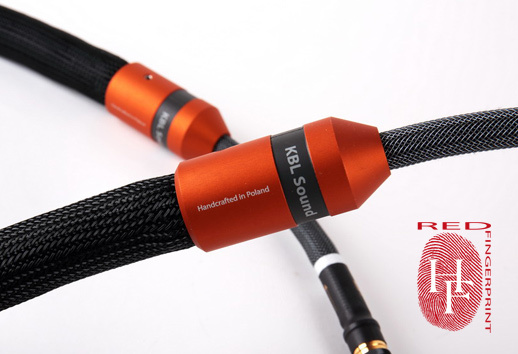 The KBL Sound interconnect resembles another solution, at least from the outside – one featured by Purist Audio Design products, that feature a ferromagnetic fluid for this purpose, which on the one hand shields conductors, and on the other, dampens vibrations. The KBL Sound interconnect is more of a classic design, but with an emphasis on vibration damping - hence its large diameter. It is also significant because these cables' main dielectric is air - conductors run in Teflon tubes. The conductors are OCC copper, i.e. monocrystalline, cast in the Ohno Continous Casting process. Positive and negative runs are separated, and so is the screen, so it looks like the cable has a pseudo-balanced structure. The screen in such a cable is connected only from the source side, so it is particularly important to connect it properly - the proper direction indicated by the arrows on heat-shrinkable sleeves next to the plugs. The connectors are excellent WBT-0152 Cu nextgen plugs with copper, rhodium plated contacts. Both, my preamplifier and player feature the nextgen sockets, so everything is as it should be :) But a different metal element really draws an attention - the coupler connecting the thicker and thinner parts of the cable. It is about its color - rusty, dark-copper-ish and it looks great, also thanks to very well chosen typography. Lets add that this model is also available in a balanced version, with Neutrik NC3MX / FX plugs, as well as in a phono version, with RCA or DIN plugs. The latter, however, is in fact a completely different cable, because while its design is similar, the conductors are made of silver, not copper. The loudspeaker cable has no special jacket around it, because it would cost a lot more than the interconnect. And it costs only little more. The cables are made of monocrystalline copper protected against oxidation and have the form of two separate runs for the positive and negative wires (that is, there are actually two cables per channel). Dielectrics are again air and Teflon. It is terminated with excellent CMC Swiss Cu plugs plated with a thick layer of silver. Also in these cables feature anodized couplers, but here they are used only to damp vibrations and are used close to the amplifier end - Crystal Cable use a similar solution in their cables. The cables are directional. 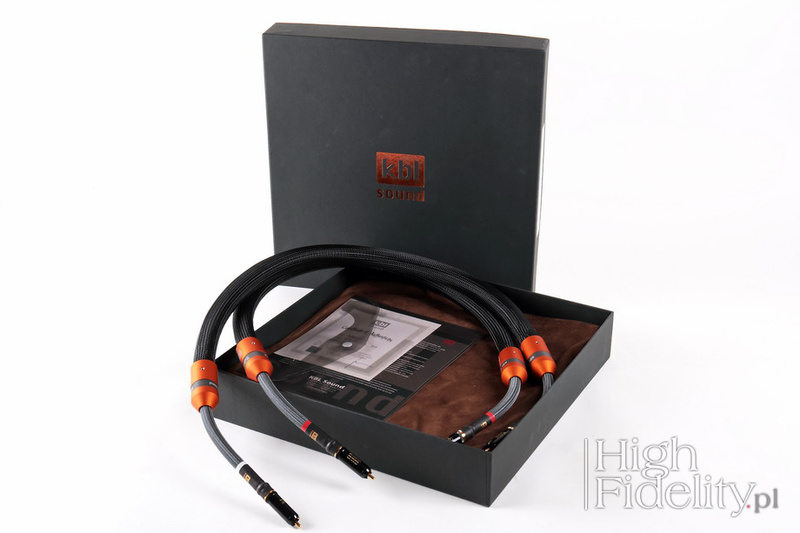 The Sound cables were tested in the "High Fidelity" reference system. The interconnect connected the Ayon Audio CD-35 High Fidelity Edition SACD player and the Ayon Audio Spheris III preamplifier, while the speaker cables connected the Soulution 710 power amplifier and Harbeth M40.1 speakers. 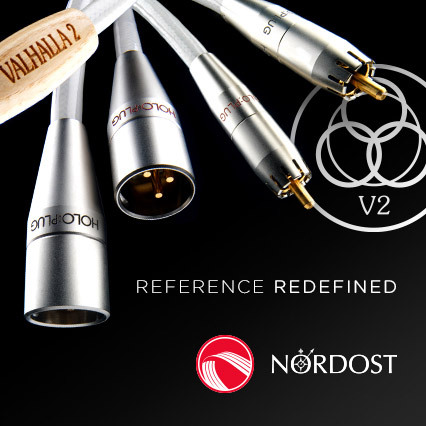 Interconnects were compared to three other cables: Silver Siltech Triple Crown, silver-gold Crystal Cable Absolute Dream and silver-copper Acoustic Revive RCA-1.0 Absolute. The Red Corona was 1 m long and terminated with RCA plugs - in my system, this type of connection work best. Speaker cable - 3 m long – was compared to Siltech Triple Crown. The interconnect sounds as if it wrapped listeners with the sound, soothing their nerves and calming them down. I remember years ago, for the first time, I bought my flannel sheets with my wife and the first night – fortunately it was Saturday – we slept until eleven a.m. The bedding was so soft and so pleasant to the touch that we felt asleep immediately and then we could not wake up. Before that, something similar happened to us once, when I brought home curtains sewn in the studio of the Maszkaron Theater, where I worked at that time, curtains made from a thick theater curtain. Then also everyone overslept and we all late to work, and to kindergarten. But this is a story for a different occasion.